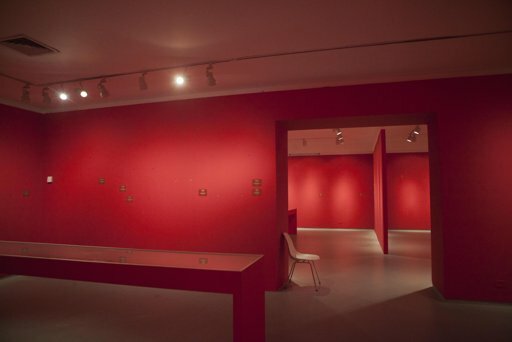 TEL AVIV, Israel (AP) — The wine-red walls of the Brueghel exhibition hall at the Tel Aviv Museum of Art are now bare, like the crime scene of a daring art heist. 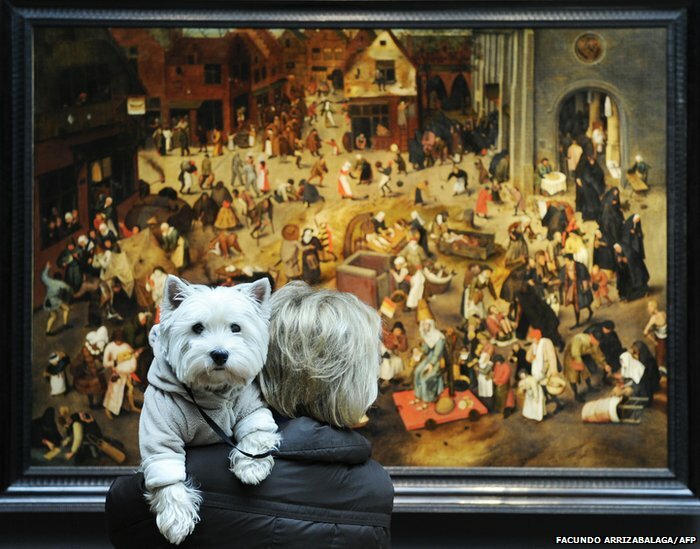 Tel Aviv’s leading art museum, spooked by rocket attacks on Israel’s cultural capital, moved nearly 200 works Friday into a rocket-proof safe the size of an auditorium — including some 100 works painted by relatives of Flemish Renaissance master Pieter Brueghel the Elder. One other Israeli art museum followed suit, hauling some of its most prized artworks into fortified vaults deep underground to protect them from the current round of Israel-Palestinian fighting. For nearly a week, the Israeli military has waged air strikes against Gaza, while Palestinian militants have barraged Israel with rocket fire. In the southern city of Ashdod, which has suffered more frequent rocket barrages because of its proximity to Gaza, the curator of the Ashdod Art Museum — Monart Center took down 15 works of leading contemporary Israeli artist Tsibi Geva. On Sunday, he stashed them in a vault four floors underground designed to withstand rocket fire and biological weapons. “It’s chutzpah to take a chance on them,” said curator Yuval Biton, using the Yiddish word for “audacious.” It was the first time the Ashdod museum had hid its art in the vault since it opened in 2003. Israel has seen its fair share of incoming fire over the past decade: Hezbollah launched rockets that rained down during the 2006 Lebanon war, and rockets from Gaza have repeatedly been fired into Israel’s south. During fighting in Gaza four years ago, the art museum in the southern city of Beersheba moved works from unfortified storage to a reinforced vault in city hall, said Idit Amihai, the top government official in charge of museums. But most of Israel’s leading museums in the heartland cities of Jerusalem and Tel Aviv — far from traditional rocket range — have had little reason to fortify artworks in the past. Even during the current fighting, not all museums have rushed to protect their treasures. The Eretz Israel Museum in Tel Aviv, which displays Near Eastern antiquities and other art, left its works in place. “We don’t get into a panic and take stuff from the glass showcases,” museum spokeswoman Miri Tsedaka said. And, despite one instance of rockets aimed toward Jerusalem that landed south of the city, no extra security precautions have been taken at the Israel Museum in Jerusalem, the country’s central museum housing its most prized antiquities and cultural possessions. “It’s business as usual,” said director James Snyder. Lenny Wolfe, a prominent Jerusalem antiquities dealer, said he hasn’t moved his valuable ancient objects from his bank’s safe deposit box. “I’m more concerned about my own safety and the safety of my own family than a few bits of pottery,” Wolfe said. The only other time the Tel Aviv museum rushed to save its works was during the 1991 Gulf War, when Iraqi Scud missiles pounded the seaside metropolis. At that time, the museum whisked its entire collection of paintings and sculptures into its large vault. The Brueghel exhibit had already been crippled by Israel’s image as a dangerous place, said the curator, Lurie. He knew museums wouldn’t lend him many works by Brueghel himself, so he focused on persuading museums and collectors to lend him works by Brueghel’s descendants. Then, a month before the “All His Sons: The Brueghel Dynasty” exhibition opened in August, two foreign museums backed down on their promise to loan two important paintings by the Flemish master’s sons because of heightened talk of a possible Iran-Israel war, Lurie said. “‘Are you serious that you’re asking for this painting for summer 2012? '” Lurie recalled museum representatives telling him. Now the exhibition’s works are behind a heavy, hulking metal door with an outsized combination lock. Wearing white gloves, Lurie turned a large silver wheel in the middle of the door and struggled to pull it open to show some of the stored paintings. Despite concerns about the risks, top masterworks are frequently exhibited in Israeli museums on loan from world institutions and collectors. Displaying masterpieces is a trickier proposition in the West Bank: It took yearlong negotiations with Israel’s army and Dutch museum officials to get a $7 million Pablo Picasso masterpiece safely into a West Bank gallery in 2011. Only a few rockets have whistled over the skies of Tel Aviv during the current conflict, and the city is considered safer than other Israeli towns along the Gaza border. So the Tel Aviv museum let southern Israelis visit the museum for free — and reduced admission for everyone else to account for the 200 or so missing spots on the museum walls. The Israel Museum and Eretz Israel Museum also offered free and discounted entry. The works moved into the safes in Tel Aviv and Ashdod were mostly pieces on loan from private collectors. “If they survived 800 years before they got here, we have to do the utmost, for the good of humanity, so they will survive at least another 500 years,” said Lurie. Years ago, while visiting the National Gallery of Denmark, I was stopped in my tracks as I came across a painting identified as a Bruegel the Elder work. I wasn’t floored so much for the painting’s beauty, but my mouth hung open because I had never seen it or heard of it before. 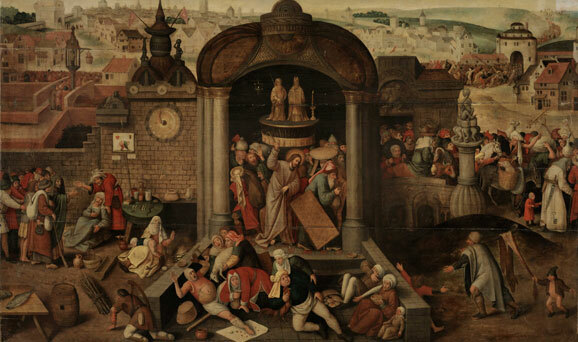 The painting, “Christ Driving the Money-Lenders From the Temple,” was listed in none of my many Bruegel monographs. How could this be? I wondered. How can a museum hang a work and call it “Bruegel” when everyone else in the world doesn’t agree that it is a Bruegel? Currently a fascinating exhibit covering the painting is underway. Tracing Bosch and Bruegel: Four Paintings Magnified investigates four similar paintings that are done in the Bosch style, which was also emulated by Bruegel in his earlier paintings. The exhibit seeks to answer the questions of who painted the works and when were they painted. Further, how did these four very different paintings of essentially the same scene come to hang in the three galleries and one private collection? While my specific question regarding the labeling of the Copenhagen painting isn’t answered in the exhibit, it does provide countless other fascinating details. 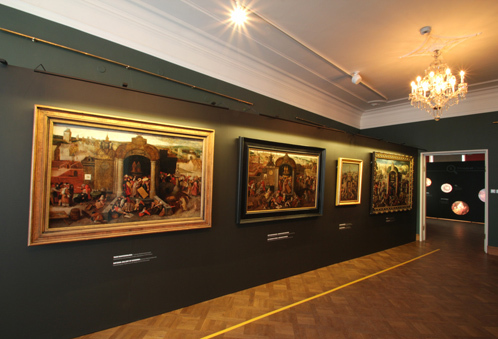 You can learn more about the exhibit at the excellent website: http://www.bosch-bruegel.com. The creators of the website should be applauded at their exceptional work. While I am not likely to see the exhibit in any of the locations to which it travels, I feel as if I have experienced it due to the wealth of information provided on the web. In addition, at least two conferences and a monograph are planned around the exhibitions, with further interesting information certainly to be revealed. I’ve really enjoyed reading the Twitter feed as the exhibit came together. Hannah Tempest did an excellent job tweeting the process of cleaning and restoration, and providing highly interesting images. I’m interested to hear from folks who have seen the exhibit first hand. What was it like? There was big news in the Bruegel-verse, with the fall 2011 auction season generating a new record for a price paid for a Brueghel the Younger painting. Brueghel expert Klaus Ertz called the version of “The Battle Between Carnival and Lent” which was sold “of masterly quality”, which certainly helped the work achieve a the record price of £6,873,250. What we believe to be the first movie using Bruegel as a main character is now playing across North America. “The Mill and the Cross,” written by Lech Majewki and Michael Francis Gibson, and based on Gibson’s book, has Bruegel’s painting 1564 painting “Way to Calvary” come to life. We look forward to providing a full review once we have had a chance to view the film. 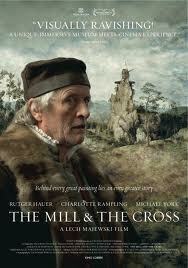 "The Mill and The Cross"
Welcome to Bruegel Now, the website that celebrates everything Bruegel / Brueghel related. Although born nearly 500 years ago, Pieter Bruegel and his sons’ impact continue to be felt today. From museum exhibits to new monographs reprinting their painting to ever-increasing prices paid for their work at auction, the Bruegel / Brueghel phenomenon continues unabated. The Bruegel / Brueghel family members continue to be in the news, with the “discovery” of a Bruegel painting in Prado within the last year making the front pages of newspapers around the globe. The purpose of this website is to provide one-stop access to all things happening “Now” in the Bruegel / Brueghel word. Movies, books, auctions and exhibitions are just some of the items that will be covered. Some of these items are academic in nature, while others firmly reside in pop culture. Regardless, both have a place in Bruegel Now. You likely will notice that we have more material about the Pieters Bruegel / Brueghel than Jan Brueghel or the other Brueghels. This is because the Pieters interest us much more than Jan. In him time, Jan was much more popular than Peter. Jan Brueghel was a friend of Rubens and his art sold for much more than the works of Pieter the Younger. Now, hundreds of years later, the “inferior” Pieter the Younger paintings command multiples of what Jan sells for – sibling rivalry at the highest level! This website is also a place to hear from you. We want to learn your thoughts on all things Bruegel / Brueghel, so don’t be shy about posting a comment to any of the stories that you see.